One of our multi-metals explorers on course to kick into production over the coming years has just received a further uplift on its path towards growing its revenue base. The spot price for copper had been in the doldrums for years before recently rebounding to a 16-month high as investors bet that global manufacturing and infrastructure spending will increase. That is great news for the largest copper companies, which will benefit from rebounding prices. But while the rising tide of higher copper prices will lift all miners, successful investing in copper takes more than just blindly choosing a company based on copper production. Albeit, this upside potential carries additional risk compared to a bigger producer. AVI is a speculative investment and therefore any decision with regards to adding this stock to your portfolio should be taken with caution and professional financial advice sought. 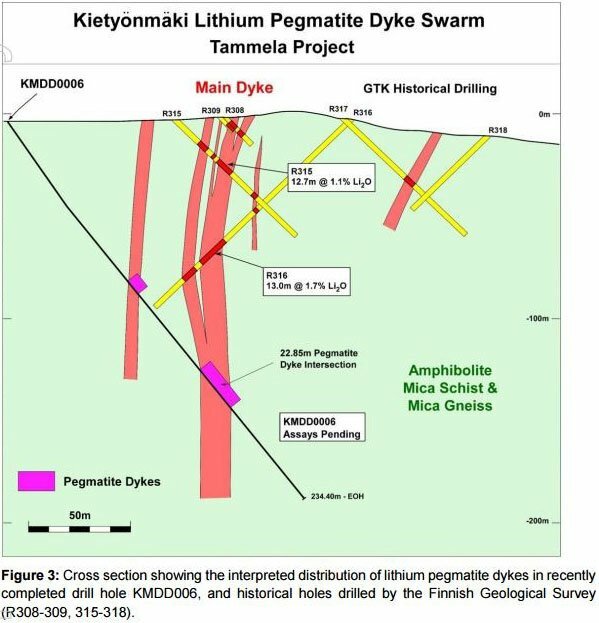 A Scoping Study completed earlier in the year at AVI’s Viscaria project, which it is re-opening rather than drilling anew, indicates that it can progress its copper assets in addition to its gold and lithium exploration. Development scenarios as presented in the updated Viscaria Scoping Study released provide a quick path to copper production. This is a 2.0Mtpa project that could deliver over 20,000t copper in concentrate per annum and could net AVI over $150 million in annual revenue at current market prices – more if the copper price keeps climbing. AVI is currently capped at just $11.5M... so it appears the market has not factored the copper project into the equation yet. 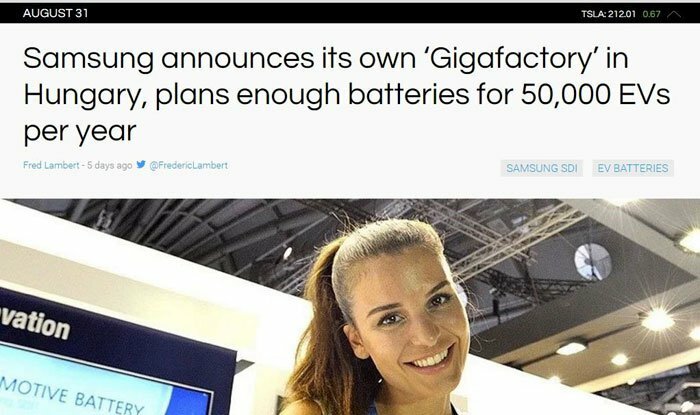 Importantly, Viscaria is situated in a stable mining district in Sweden, has two approved Mining Leases, can operate all year round, is supported by cheap power, and there is already all required infrastructure in place including a town with a skilled workforce, commercial airport, power line and a rail line to two ports. Given its position, concentrate that would be produced at Viscaria could go to multiple smelters within Europe – in Sweden and Germany. In essence this is a high quality copper project in a strengthening copper price environment with exceptional exploration upside. With that in mind, let’s fan through AVI’s entire arsenal, with a particular focus on Viscaria, to see if it can haul in some commercial sustenance for both AVI and its shareholders. 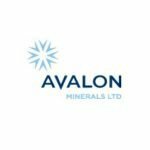 Avalon Minerals (ASX:AVI) is a wholehearted trilateral metals explorer on the hunt for gold and copper, and lithium. 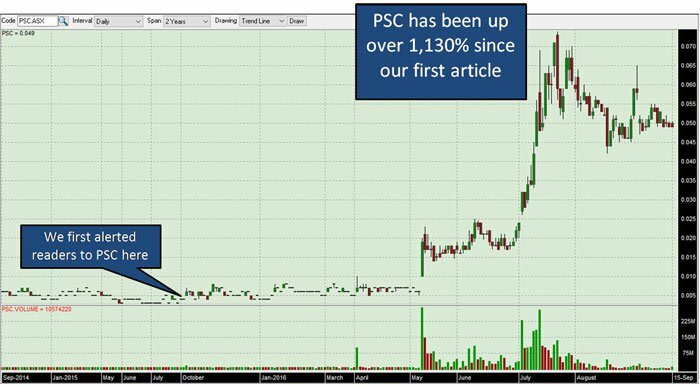 Its lithium and gold intentions have been rather well documented in our previous article(s), as we brought this ASX-listed small-capped stock to your attention. In our article titled ‘Lithium and Gold Continue to Impress: One ASX Stock is Drilling for Both Right Now’ , we sketched out the case for why AVI is progressing its gold and lithium intentions hoping to identify a commercial resource. ...and 3 months later, they have continued their ascent on the back of a rebound in demand, and compounded by further indications of waning supply. 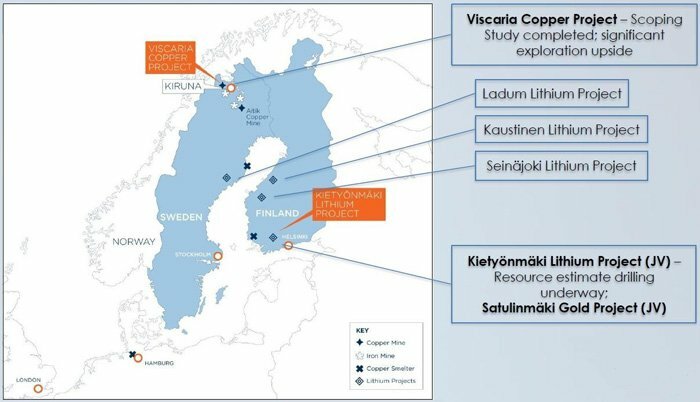 AVI’s copper project – Viscaria – is based in Sweden, close to its lithium and gold exploration sites. As we stated above, and it certainly bears repeating, per AVI’s Scoping Study, Viscaria is a 2.0Mtpa project delivering greater than 20,000t copper in concentrate per annum. That’s a fair chunk of copper that could net AVI over $150 million in annual revenue at current market prices. Despite the recent surge in copper prices, the consensus view in the industry is that current copper prices are insufficient to meet future demand because they are not high enough to incentivize producers to invest in enough new projects to offset declining output. As a result, metals analysts the world over are expecting aggregated production from the world’s existing mines to fall by over 4 million tons between now and 2025 (total global production is currently around 5.5m tons per year). That’s a significant slice of the total pie, and metals markets wouldn’t be what they are if it wasn’t for forward-looking expectations. At the first whiff of undersupply, copper prices have set off for their resistance levels, now trading up 34% year-to-date. Given the rapid bounce back in copper prices, AVI has been quick to initiate some momentum at its copper project in Sweden. In the table above, AVI’s total combined resource figure for A Zone, B Zone and D Zone at Viscaria indicates 52.4 million tonnes at 1.2% Cu for a contained 609kt Cu. Zone D is of particular significance, as it is where the blue sky potential exists. The map above illustrates that VDD193, the deepest hole in the North Shoot target area intersected 26.7m at 2.6%Cu including 6.6m at 3.5% Cu, 5.2m at 2.9%Cu and 6.9m at 2.6%Cu. Furthermore, VDD 195, drilled below 193, was outside the resource boundary but intersected 21.5m at 1.5%Cu, including 3m at 2.3% Cu and 9.9m at 2.2% Cu. These are extremely strong results and with VDD 196, also looking highly prospective, geophysical modelling of the host magnetite indicates this copper orebody will grow. The D Zone copper host is 50-70% magnetite and a 3D modelling of magnetic data demonstrates very clearly that the orebody in this section is significantly larger than what currently been drilled by AVI. 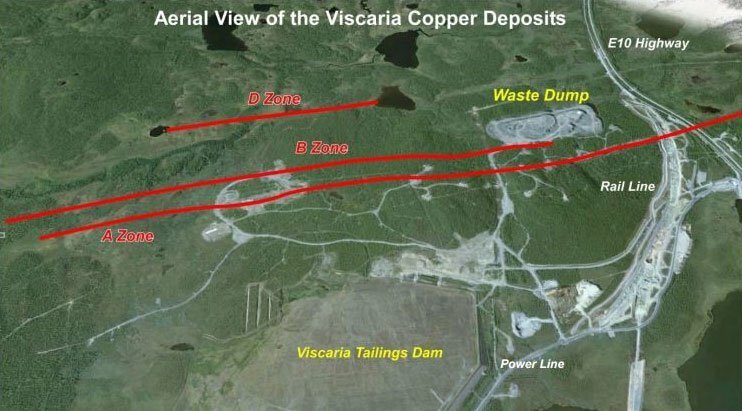 The Viscaria Copper Project has the potential to supplement AVI’s existing metals exploration by providing cash flow, because of its relatively quick and straightforward path to copper production – with a likely possibility of initial ore being converted into sales to fund future additions to its Resource. Of course, AVI is a long way from generating cash flow and is in the early development stage. What future cash flow may look like is speculative at this stage and therefore investors should do their own research and take into account all publicly available information when making an investment decision. Whilst we’ve looked predominantly at Zone D, overall Viscaria is a robust moderate-sized copper project with near term development opportunity throughout its three zones. 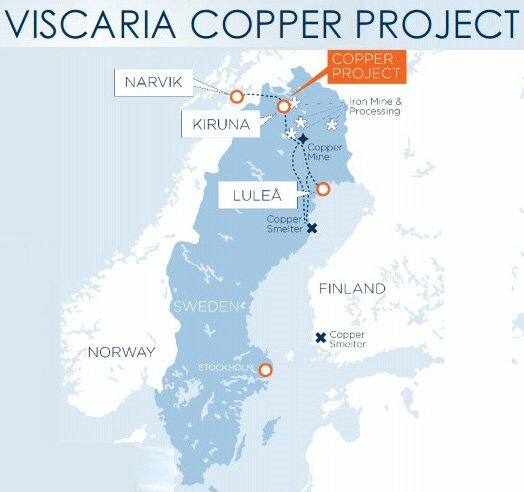 Multiple opportunities exist to expand the current copper resource in and around the former Viscaria copper mine in the Kiruna district of northern Sweden. The Viscaria copper deposits are located 5 kilometres west of the world’s largest underground iron-ore mine – “Kirunavarra” –which is operated by Luossovaara-Kirunavaara AB (LKAB). The project is 100% owned by AVI, close to established Resources and had plenty of previous drilling so in many respects, many of Viscaria’s pitfalls have been effectively de-risked. A series of 19 targets are identified with good to excellent potential to grow the existing resource with low-risk extension drilling and to identify new mineralised horizons or copper deposits within trucking distance of the planned Viscaria mining project. These opportunities for resource growth may substantially increase the size and value of the resource. Viscaria contains Beshi-style VMS copper and iron-oxide deposits. Zones A and B were initially mined by LKAB and then by Outokumpu from 1983 to 1997 when the mine was closed primarily due to a weakening copper price, and mining becoming uneconomic. However, given the turnaround in copper prices combined with AVI’s low-cost production estimates, Viscaria is now back in the spotlight, only in AVI’s hands. Historically, Viscaria has produced most of its mined ore from Zone A while Zone B contributed only 30,000 tonnes (1% of total mine production). Zones B and D were never drilled extensively and therefore have strong catalyst potential with the drilling completed by AVI, and the proposed drilling to expand resources. The proposed new development of Viscaria will see an open pit on the old mine at Zone A (which was previously an underground mine), expansion of the pit to capture Zone B ore, and an open pit and underground development at Zone D.
The great news for AVI’s exploration team is that all deposits are within 500m of one another. The only piece of the puzzle required is final permitting at Viscaria. This requires approval of the environmental and detailed development plans that overlay the existing approved mining leases. Assuming AVI obtains its permitting and moves into early sales, Viscaria concentrate can go to multiple smelters within Europe – in Sweden and Germany – within a stone’s throw from AVI’s project site. Looking at the grades AVI has mustered so far, there should be no issues offloading its mined copper ore to smelters across Europe. Could the copper market be coming around for another up cycle? Copper is probably the world’s best ‘bellwether’ for gauging broader economic activity and industrial demand. Used in everything from conventional cars to electric wiring that’s found in every home, copper is the most highly sought after base metal in terms of nominal numbers. Copper is also a key part of the ‘electrification’ story. As sources of energy evolve and become more environmentally friendly, it is estimated that 3-5 times more copper will be required, per megawatt of electricity generated. The highly vaunted electric-car industry currently being spearheaded by Tesla and its band of battery-manufacturing brethren, is also expected to raise copper demand in addition to lithium. While a conventional car contains on average around 15kg of copper, hybrid cars contain 30-40kg, and a full electric vehicle has 60kg. As more electric cars hit the streets in the US, Europe and China, copper will have a further source of demand – and growing each year. In aggregate, when estimating future copper demand contrasted against future supply – AVI’s Viscaria Project is coming online at exactly the right time. AVI is in the enviable position of being able to fast-track its Viscaria development at the very first hint of a copper price rebound. When combined with the sharpish escalation in copper prices, Viscaria is therefore a suddenly attractive and economically feasible project which AVI intends to summarily add to its development portfolio. AVI is in the enviable position of having a primetime copper project with ample feasibility move into position on the back of the rising tide of copper prices. After an election campaign full of nationalistic bravado and braggadocios claims, the after-effect of the election appears to be higher equity markets, stronger metals prices and rosy market expectations. Just what the doctor ordered. Of course, commodity prices are volatile, and caution should be applied to any investment decision here and not be based on anticipated future commodity prices alone. Seek professional financial advice before choosing to invest. AVI is sitting in the enviable position of being able to fast-track its wholly-owned Viscaria development in time to react to increasing copper prices. Importantly, Viscaria sits on top of an old mine so in effect, AVI is ‘re-opening’ a project site instead of digging a new one. Also, close by to Viscaria is the world’s largest underground magnetite mine with one of Europe’s largest iron processing facilities directly next door. In a nutshell, AVI has all the required infrastructure, plenty of demand and a strong copper asset to add to its already glowing portfolio of metals projects. Currently valued at AU$11.5 million, AVI could represent a solid opportunity to become a near term copper producer/developer. And we’re all over it like a rash.